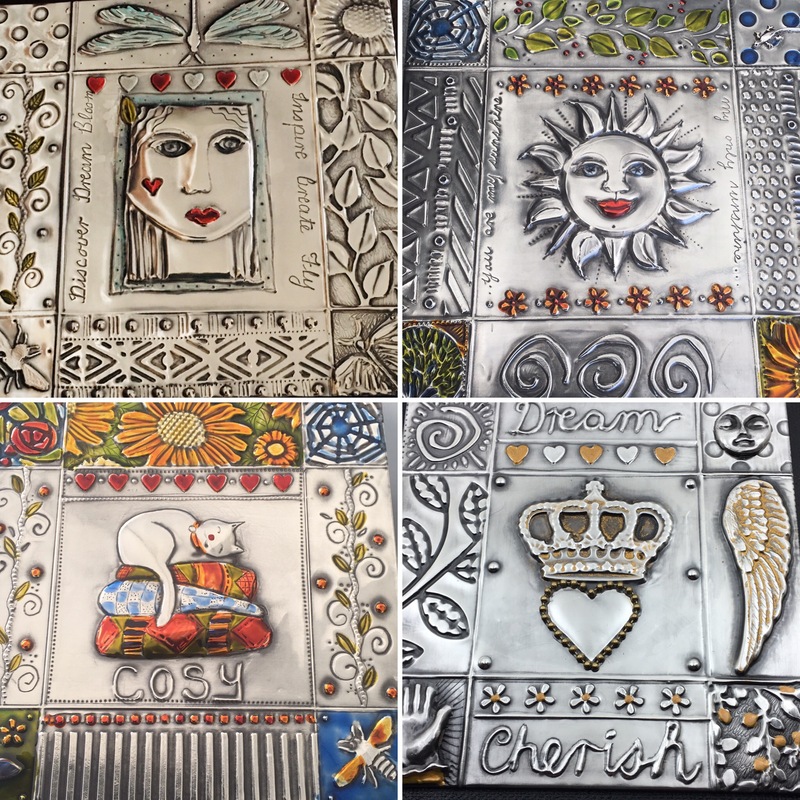 In this intensive full day workshop you will complete a greeting card sampler block and a pewter plaque that can be used as a book cover or wall art. You will be introduced to a variety of key metal embossing techniques and mark making tools as well as how to use texture plates, stencils, embossing folders and then some….You will also learn how to do lettering on metal. You will be using luscious lead free pewter sheet and will learn to apply patina and color to your project. All supplies and tools to use in class are provided to complete your project and bookmark. Please bring : Your Lunch and indoor shoes – I provide Coffee, Tea and snacks. **OPTIONAL- A design you would like to use in your wall plaque to fit in a 8 x 8 cm (3 x 3 inch) area. Black and white Clipart simple lines work well. Full Payment on registration. Unfortunately no refunds on cancellation-a credit valid for 1 year will be applied to future workshops. Please email Elitia on harts@shaw.ca for more information.